The upsurge in deaths of "boat people" heading to Europe across the Mediterranean happened in the middle of the UK's general election campaign, forcing politicians to respond and provoking brief discussion of the links between the phenomenon and Britain's foreign policy. At the same time, the issue of climate change also made an appearance in the election, thanks both to consistent pushing by the Green Party and a speech on foreign policy by the Labour Party leader Ed Miliband. A substantial part of this speech, delivered at Chatham House on 24 April, was devoted to climate change, though the element was almost entirely ignored in media reporting. The deep connection between environmental degradation and the exodus from crisis-zones in Africa and the Middle East, highlighted in last week's column in this series, also has not figured much in recent media coverage. But it is welcome that elsewhere, the dangers of climate disruption are being given a significant boost from the recognition of a variety of leaders, institutions and researchers around the world. First, Pope Francis is reportedly preparing a major statement on the theme to be published in mid-2015. The pope's interventions in other areas have made waves among his followers and those of other faiths and none, and there are indications that this proposed encyclical is already upsetting conservative Catholics. The controversy is unsurprising, and many who view the Catholic church as reactionary may doubt whether the body can have much to say on this issue. A fair point, perhaps, but it is also worth recalling that the church has a history of relatively radical thinking on social issues; the 1891 encyclical of Pope Leo XIII, Rerum Novarum - often known as the “workers' charter” - is a notable case. Second, new research confirms the suspicion that the increasing number of "extreme weather events", such as exceptionally hot days or unusually intense rainfall, is related to human-induced climate change. That is evidently a serious trend, and thus qualifies as a negative; but it is also likely to act as an early warning - a "canary in the coalmine" - of what would happen without the decarbonising of current economies. Third, a wide range of technical and organisational developments is making the development of renewable-energy sources more attractive. One of the keys to this process is the moment when renewables reach "grid parity" - the point when the subsidy-free price equals that of some fossil-fuel sources. In the United States a number of states, particularly in the south, are already approaching grid parity for solar and wind-generated systems. Several European countries will have achieved this with wholesale prices, principally for solar energy, by the early 2020s; Turkey, with higher than average wholesale electricity prices, could reach this by 2018. As grid parity kicks in, so state subsidies can be reduced. States can then consider serious capital investment in more novel forms of renewable-energy use, or else look to encourage the private sector even more. The move towards grid parity would, on its own, stimulate a degree of support for renewables; but combined with the rapidly growing awareness that climate disruption is a huge worldwide security threat, it acquires far greater importance. For it is when states come to accept the necessity for the rapid decarbonisation of industrial economies that technological developments are stimulated at a much faster rate than before. Yet that, in a sense, is barely half the problem. 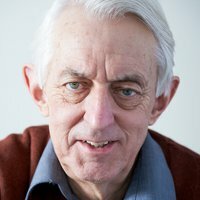 For just as the “old” global north has to move rapidly to ultra-low carbon economies, so the less industrialised global south will need to embrace forms of development that deliver higher standards of living without adopting what are in reality the obsolete high-carbon forms of economic activity that remain dominant in the global north. Here too much is happening, and in two quite different ways. First, new technologies - especially solar power - are starting to be embraced with enthusiasm. These often can be markedly decentralised, and benefit from huge improvements in solar systems' efficiency and falling costs. Second, clusters of countries in the global south are cooperating much more closely: both in their regional policies over the low-carbon transition and in their approach to global climate negotiations. Policies in the Caribbean, for example, reflect both aspects. The Caribbean Community (Caricom), a economic and political cooperation organisation comprising fifteen states, includes many climate-vulnerable, small-island countries. Many of its members have a frankly jaundiced view of the most recent climate gathering in Lima in December 2014; they found the meeting had produced the “bare minimum necessary to continue the process of addressing climate change”. Now they are aiming for a common negotiating policy, and there may well be coordination with other regional bodies. The most valuable news of all is that these two developments join very many others that stretch right across the global south. Indeed, in many respects several governments in the tropics and sub-tropics are responsible for more innovation, and have greater awareness and urgency, than their counterparts in the old north. None of this means that a transition to the ultra-low carbon environment that is required - 80%-plus reductions in carbon outputs by 2030 - is imminent. But it is an indication of the early stages of a potential revolution in the south., though still unrecognised by the most politicians and legislatures across the north. Such most welcome initiatives lie beyond the current agenda of global power and global news, among the very reasons they deserve to be better known.